Do you want to turn your iPhone/iPad into a portable AM/FM radio ? If you love listening music, FM radio app could be very useful for you because it helps users enjoy listening free music and other radio programs. In the article, you can see a great collection of the best AM/FM radio apps for your iPhone and iPad. Most of these apps require data connection to stream live FM radio. Okay check the list of top radio apps. In this article, we’ve listed some useful radio apps which are paid but very useful and featured rich, and if you love listening music, you would love those apps. Almost all of these apps are featured rich and easy to use. Okay now let’s see the apps for your iPhone , iPad and iPod touch. 1. 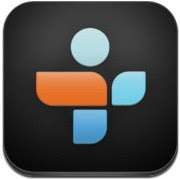 TuneIn Radio Pro ( iPhone & iPad ) – One of the best apps to listen radio using your iDevice. The app lets you listen more than 70000 live radio stations and more than two million podcasts , shows and concerts on your iPhone or iPad. You can record your favourite music, sports, news, shows, etc on your device by using this great app. The app has very easy , clean and simple user interface and lets you enjoy live radio and podcasts easily on your device. The app has different categories ( such as – trending, recommended, music, sports, news etc ) , so that you can find your interested content easily using the app. Great app for iPhone and iPad users. 2. Simple Radio ( iPhone & iPad ) – Very useful free AM/FM radio app for iPhone and iPad, that comes tons of features and helps you listen your favourite songs on your iDevice. If you want to listen your favourite songs online on any of your iOS device or apple watch, this app would be the best option. Simple Radio app lets you play songs from over 30000 worldwide radio stations. You can save your favourite radio stations to listen those in just one tap, browse your favourite music or discover new music through search tool, and categorize your music genres. 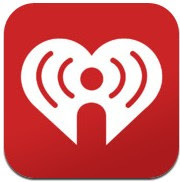 3. iHeartRadio ( iPhone & iPad ) – iHeartRadio is a great free app that allows you to access more than 1500 live radio stations. You can browse them by location or by music style easily. One of the best free internet radio services that let you enjoy free music on your device. The app also helps users to create their own radio stations. Very useful free radio app for music lovers. 4. 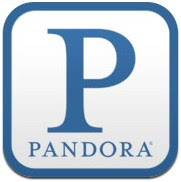 Pandora Radio ( iPhone & iPad ) – Although Pandora Radio is not a FM/AM radio app, but very useful radio app for music lovers that lets users enjoy their favourite music with personalized radio stations. You can simply choose your favourite songs, artists, or classical composers and the app will create custom radio station for your device that helps you play only selected favourite songs. 5. 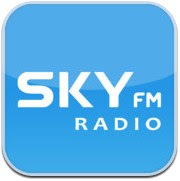 SKY.FM Internet Radio ( iPhone ) – Great free radio app that lets you access more than 60 music channels to listen your favourite music on your iPhone free of cost. With the app, you can easily view track titles and control audio from the lock screen. The app includes many features such as – favorite channel saving option to access your them later, sleep timer, data streaming setting option, data usage tracker, social and email sharing option and many other features. Great radio app for iPhone users that can be used free of cost to access favourite stations. 6. 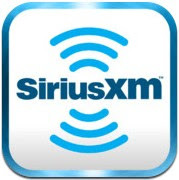 SiriusXM Internet Radio ( iPhone & iPad ) – Beautifully designed internet radio app for iPhone and iPad users that lets them listen comedy, sports, entertainment and commercial free music on their devices easily. SiriusXM internet radio is a free radio app but requires a paid subscription to listen internet radio service on your device. The app has many features such as – on demand content, live internet radio channels, Pause, FF and Rewind live radio and on demand content and many other features. Great radio app for iOS users.